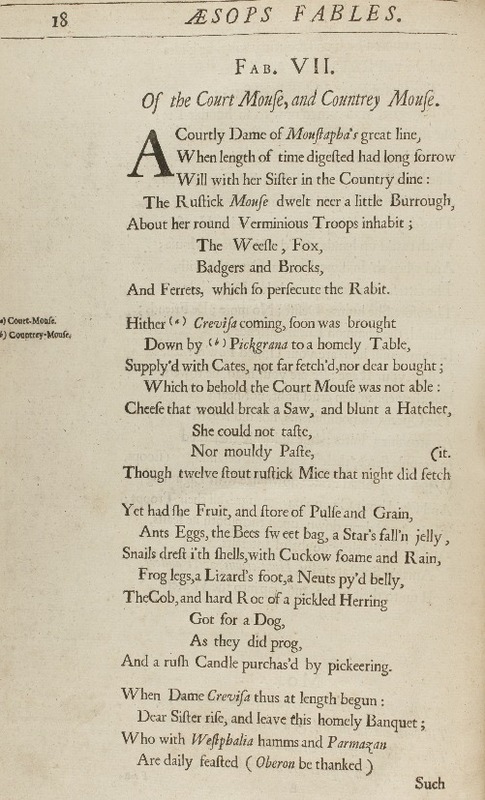 Many versions of the fable have a court mouse instead of a town mouse (I have a special tag for versions of this kind). However, this version alone has lengthy descriptions of court foods and customs which make it a very illuminating glimpse of court life in the 18th century. No other variant, for example, lists deer, sturgeon, or tongue among the town/city/court foods. 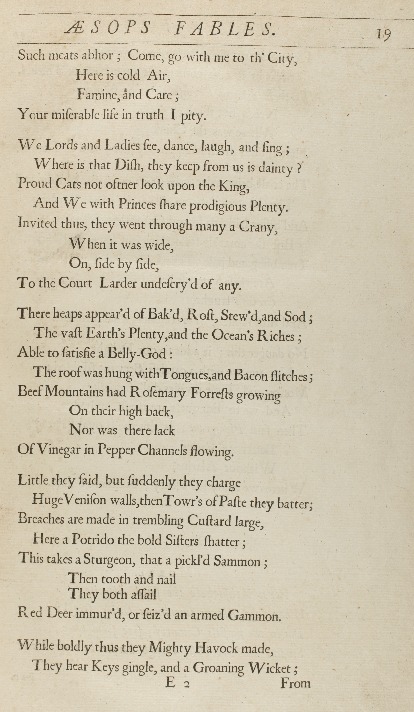 The real outlier here, though, is the degree to which Ogilby imagines how the world must look to mice (courtly mice no less): he describes his protagonists getting lost among "mountains of beef" and "rivers of vinegar." 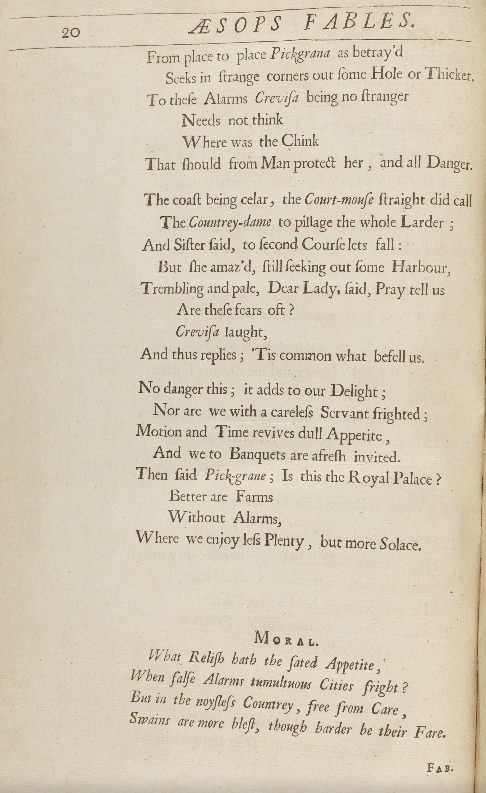 The little details Ogilby provides matter a lot: the mice thank Oberon instead of God (presumably because they're fairyland creatures, I'm not sure) and the court mouse is even given a royal pedigree (She's of Moustapha's line, how droll). 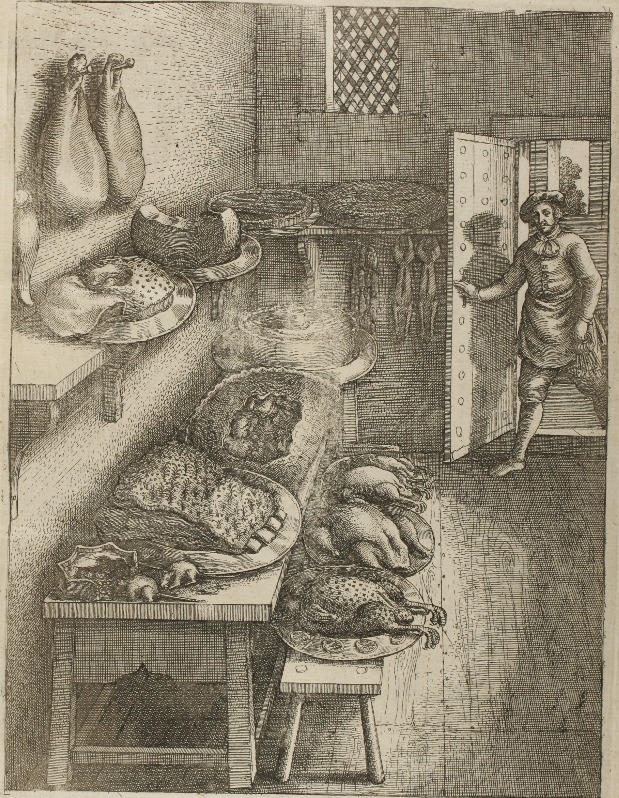 As a bonus, this version has a very detailed engraving of the dining scene, for those curious what a 18th century palace larder might look like. For this reason, I've also included it in my exhibit of exceptional artwork.